I should be getting my new phone shortly. Microsoft have released Windows 7 Phone their new phone OS in the last few weeks and it’s a complete departure from any other phone operating system out there. Utilizing an OS style called metro Microsoft have done away with trying to shrink Windows down to hand-held size (I always hated scroll bars on a phone) and have completely abandoned their old Windows operating system which while feature rich was clumsy, prone to slow downs and almost unusable as a phone. The new Windows 7 phone relies on a couple of key new features. Tiles – The home page displays rectangular tiles, each of which represent a window into the underlying feature that the tile has been assigned to. These are not static pictures or icons, but live animated windows which developers can use to provide the most important content into the home page. The facebook tile for example will rotate around the updates of friends and family, the email tile will display the number of unread messages – and so on. Hubs – One of the criticisms aimed fairly at the iPhone, is that it’s like being in a hallway, and as you start an application it’s the same as stepping into a room. You use the application, and then leave the room to go back into the hallway before stepping into the next app. With people having mixed content all over the place this becomes problematic when you may find that you have contacts in google, facebook, exchange and on your phone, and pictures on flickr, facebook and your home PC. Hubs are Microsofts solution to this, by creating areas of common content that can represent data from various sources. Go to your contacts and you’ll see contacts that originated from a variety of sources. Standard Equipment – Microsoft have required that the phone manufacturers using Windows phone 7 meet some pretty hefty hardware requirements. This should prevent too much variety creeping into the mix which always seems to be the nail in the coffin for Microsoft. With the previous Windows phone OS phone manufacturers were coming out with all sorts of different screen resolutions making it impossible to develop for. There’s a chance that this phone will really make a dent in the iPhone and Android market but we will have to wait and see. The Android is infinitely customizable which is a strength and a weakness – there are so many thousands of different elements out there now but it males it impossible to reach any consensus. Apple are completely locked down which provides a robust consistent interface but one which is expensive, hard to develop for and is getting a bit old now. So maybe Microsoft can do something here. 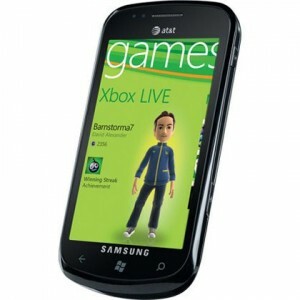 Categories: Musings | Tags: Samsung, Windows Phone, WP7 | Permalink.